The formalism and incoherence of the Romanian Government's decisions and the Romanians' resignation are the main causes that lead to an inefficient fight against corruption in Romania, shows the National Corruption Report, released by Transparency International Romania. The passive attitude of Romanian citizens is caused by the lack of transparency and public institutions’ availability to discuss, shows the report. Untransparent decisions as well as the complete absence of consultation initiatives that should encourage participation also increase mistrust, disappointment and ultimately encourage corruption. Moreover, this issue substantially discourages investments and seriously affects business, further affecting the economy, the society and the international context of Romania's position in the EU. According to the report, the large number of laws adopted under a Government accountability procedure not only has procedural flaws, but also poses serious content issues. The Government’s actions to fight the economic crisis with "any price, in any way", in the shortest time possible without considering the consequences, is one of the reasons why the public confidence decreased to worrying levels, with a direct depreciation of the whole climate of public integrity. 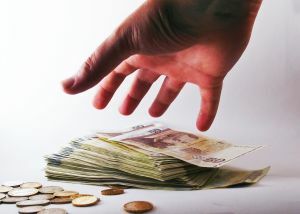 The National Corruption Report is a publication of Transparency International Romania and presents the data recorded between October 2009 to February 2011. You can get the full report in Romanian here (pdf file).